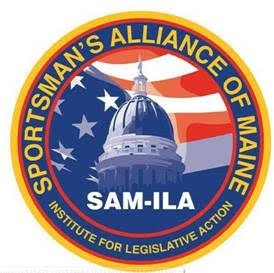 The Sportsman’s Alliance of Maine (SAM) recently announced that it is forming the Institute for Legislative Action. This is not a new concept as many organizations have done this. However, it should help SAM when it comes to legislative work that needs to be done. Time will tell. In the meantime, I would like to offer SAM some advice. Sometimes SAM becomes a bit provincial, catering to members only. An example of this is in my request for email notifications from SAM but can’t get them unless I am a member. This makes no sense at all. To be forthcoming, I am not a member of SAM and have no intention to become a member of SAM, mostly because I am not a member of anything and am not beholding to anything or anyone except myself. I do, however, have interest in what SAM is doing and often write about it. Which leads me to the other issue. I understand SAM having a Facebook presence. Yet, the entire world does not revolve around Facebook, although many in the world seem to think so. I do not “do” Facebook, nor do I ever intend to go back there. Facebook has it’s good points, although I am at a loss to think of any. I am not alone in this denial and refusal to be a part of another fascist, dictatorial entity controlling and spying on everything I do. When SAM makes announcements and releases letters, news, etc., and posts it on Facebook, non members of Facebook are prohibited from viewing it. In the past, I have published some information I get from SAM members who forward the information. As an outdoor writer, I cannot visit SAM’s Facebook page to glean for news and events. I am relegated to their website page, which brings me to another issue. SAM’s website has relevant and good information on it but is lacking in the same bits of activity and announcements that can be found on Facebook. Having once been a part of Facebook and having a website of my own, it’s a simple task to set up your website to do all the things you want to appear on Facebook. This requires establishing an area on the website (a simple blog page would work) where all of this information is entered. Settings in Facebook allow a member to automatically publish whatever appears on this website page, on the organization’s Facebook page. This way, I and thousands more of us that choose not to be a part of Facebook or members of SAM, can visit the website and read information SAM has made available only on Facebook. This is a big win for everybody and should be done immediately. SAM should understand that by not excluding non members from obtaining relevant and live information can only lead to more membership and better public relations.